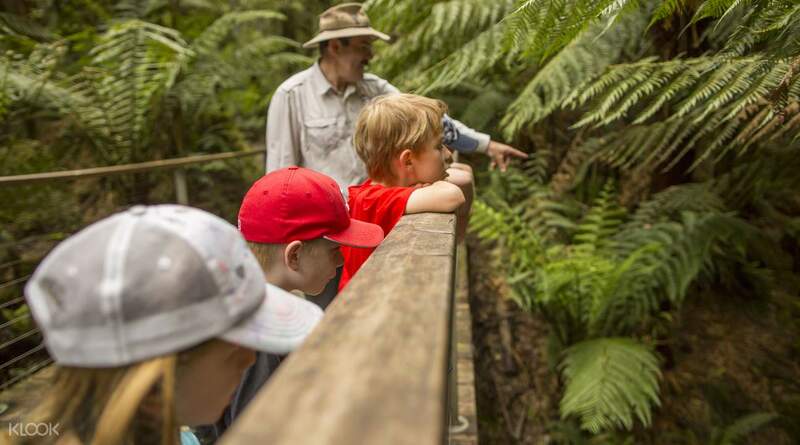 Explore the Aussie rain forest - 30 meters up! Great day trip. Kids could easily handle the walk. 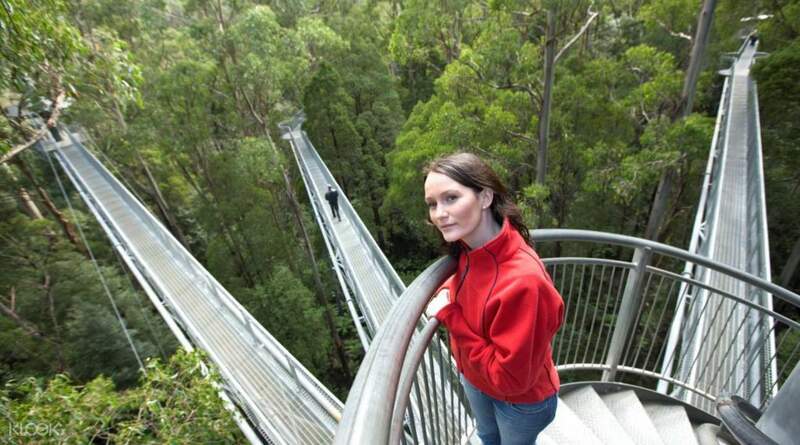 Otway, Australia is the only place in the world where you can experience this 1.9 kilometer steel walkway canopy! Though you'll be walking 30 meters above the ground, you don't need to worry about your safety as this steel walkway is designed to withstand strong wind speeds up to 280 kilometers per hour! 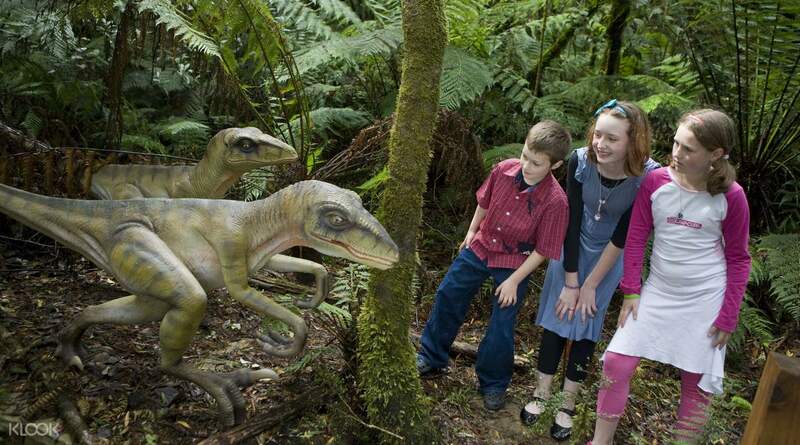 The walk takes an average of one hour to explore - be sure to keep an eye out for native wildlife when you're up there! 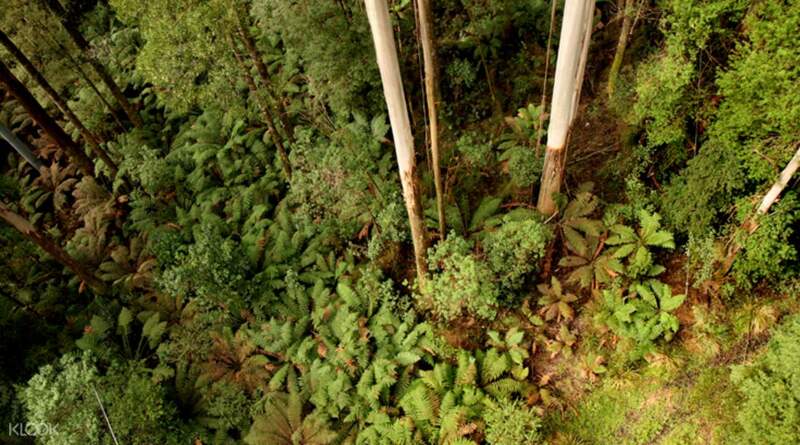 View the lush Australian rainforest near Melbourne 30 meters up! 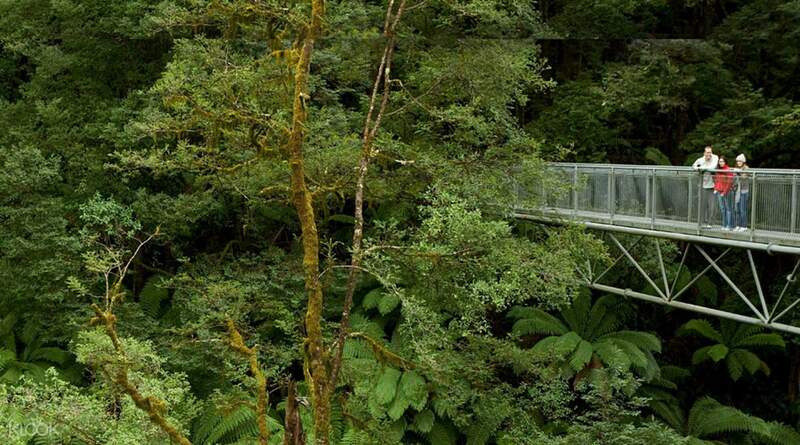 This is one of four steel canopy walkways in the world! we had a long walk in the morning. it was very cold but worth all the efforts. the view was beautiful and it was a very interesting experience. we climbed all the way to the top and walked to the end of hanging boardwalk. it was shaky but it felt very safe. we was in awe watching all the unique plants around us. it was quite tiring but we enjoyed it very much. remember to bring water to drink along the way. we love walking around the area. it was a long and quite journey to reach the area with no/minimal phone coverage. be sure to have gps or it would be hard to find the location. we had a long walk in the morning. it was very cold but worth all the efforts. the view was beautiful and it was a very interesting experience. we climbed all the way to the top and walked to the end of hanging boardwalk. it was shaky but it felt very safe. we was in awe watching all the unique plants around us. it was quite tiring but we enjoyed it very much. remember to bring water to drink along the way. we love walking around the area. it was a long and quite journey to reach the area with no/minimal phone coverage. be sure to have gps or it would be hard to find the location. The walk area is serene and tranquiliting for the morning. The talk tree is amazing. I love the pretty natural fern garden too. The walk area is serene and tranquiliting for the morning. The talk tree is amazing. I love the pretty natural fern garden too. Good experience to see what it is like when you are at the top of the trees. Everyone have an enjoyable time walking along the treetop. Have a cantilever section where the structure will shake alot. Scary!!! Good experience to see what it is like when you are at the top of the trees. Everyone have an enjoyable time walking along the treetop. Have a cantilever section where the structure will shake alot. Scary!!! Best nature experience. Take the shuttle for fast to/from the Tower, it runs every hour. As always smooth booking via Klook. Best nature experience. Take the shuttle for fast to/from the Tower, it runs every hour. As always smooth booking via Klook. Great day trip. Kids could easily handle the walk. Great day trip. Kids could easily handle the walk. It's cheaper to buy from Klook than to buy online from Otway Fly. I showed my Klook booking voucher to reception to gain access - fuss free. Do remember to take a screen dump of your voucher prior. No mobile signal at the location. It's cheaper to buy from Klook than to buy online from Otway Fly. I showed my Klook booking voucher to reception to gain access - fuss free. Do remember to take a screen dump of your voucher prior. No mobile signal at the location. using klook for the first time. It's easy and saves money. The treetop walk was an amazing experience. I'll definitely recommend it to others. using klook for the first time. It's easy and saves money. The treetop walk was an amazing experience. I'll definitely recommend it to others.